The Series 14-inch model is available in pink, blue and green and includes an LED screen in 16:9 format with resolution 1600 × 900. LED screen for the Vaio Series 17-inch panel with full HD and Blu-Ray under the body we find the space for two hard disks (maximum capacity of 500 GB). VAIO Store can also be configured on the Sony Style Series 14-inch to add the Blu-Ray, increase the RAM to 6GB and choose the processor while on the 17 inch can also integrate the Blu-Ray. The new Vaio Series will be available in early April starting from 728 € with the 15.6-inch model already presented. This entry was posted on July 17, 2010 at 5:53 am	and is filed under Notebook Technology. 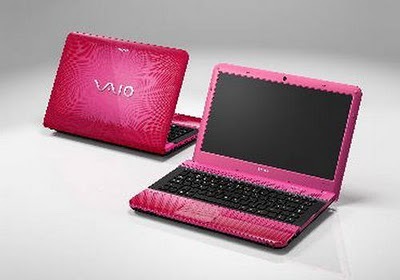 Tagged: Multimedia Notebooks, Notebook Technology, Sony Vaio E Series. You can follow any responses to this entry through the RSS 2.0 feed. You can leave a response, or trackback from your own site.